The folks over at Warhammer Community continue to roll out news in anticipation of 8th Edition. Now in addition to the announcement and the FAQ, we’ve got a look at how the Galaxy has (and hasn’t) changed going into new edition. As you can see, there’s a massive vortex of unpleasantness in the center of the galaxy there. And I do mean massive–that inkblot is several systems wide if it’s an inch, and it’s actually black at the center, not just the double-dark purple that gathers near the other massive warp storms in the galaxy. Not even the Eye of Terror is quite as active. 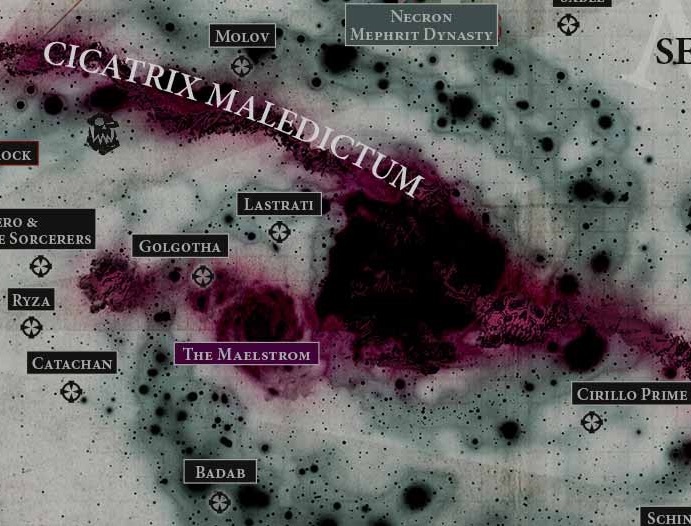 You can also see the Mephrit Dynasty and the Planet of the Sorcerers nearby. 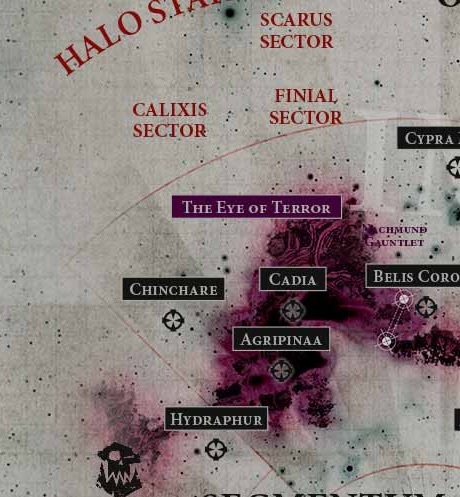 And also a skull, a literal actual skull face that appears in the warp storms on the galaxy map in between the two blotches right by Cirillo Prime. It’s probably fine, guys. 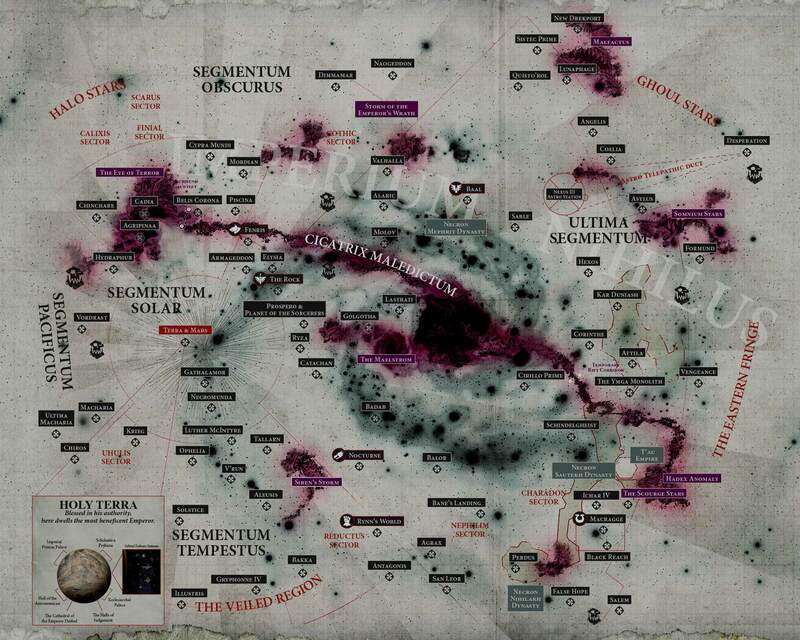 What I want to know, though, is what do those dark blotches mean–the ones that seem to be outlined in grey. There’s a swirl pattern that appears to be moving counter to the direction of the storms…what do they signify? Xenos Encroachment? Tyranid expansion? I guess we’ll have to wait and see. But, according to the writeup, there’s going to be more about these incoming in the next few days, so stay tuned.